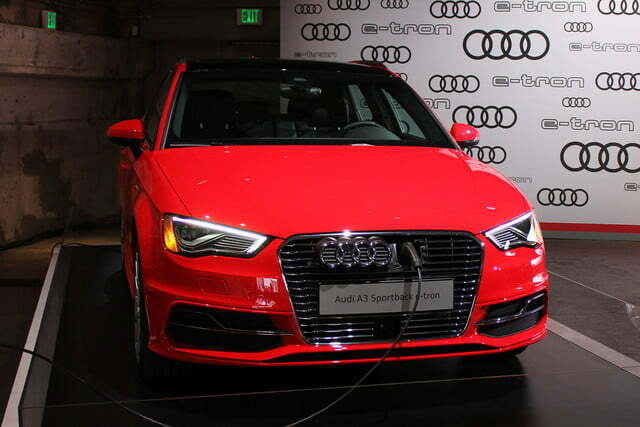 Until charging stations dot every corner, Audi’s A3 e-tron Sportback delivers the perks of an EV without the crippling range anxiety. Before The Volkswagen Group became entwined in its “Dieselgate” scandal, the organization was hard at work on electrified powertrains for consumers who want to be done dealing with gallons – of diesel or gasoline – altogether. 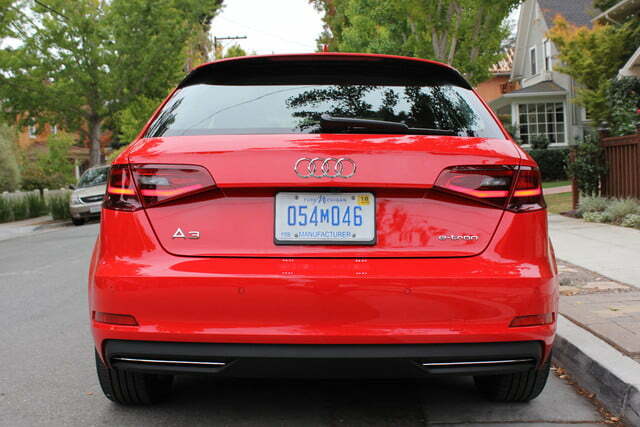 Audi describes the A3 e-tron Sportback as a transitional vehicle for consumers who want the benefits of plug-in hybrid efficiency without drastically altering their lifestyles, as opposed to those willing to rearrange their lives around charging stations. 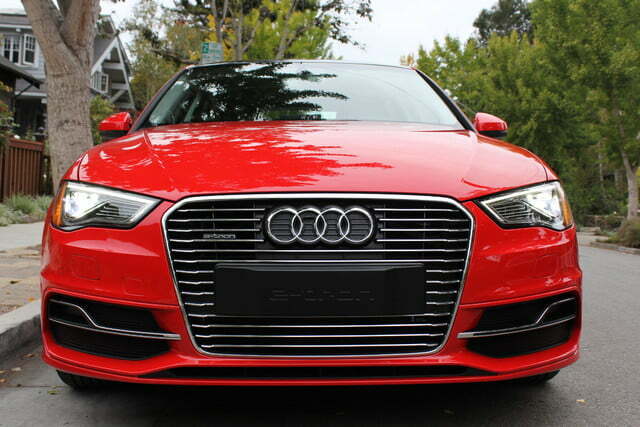 On the surface, the A3 e-tron promises superb driving range along with high levels of technology and performance. 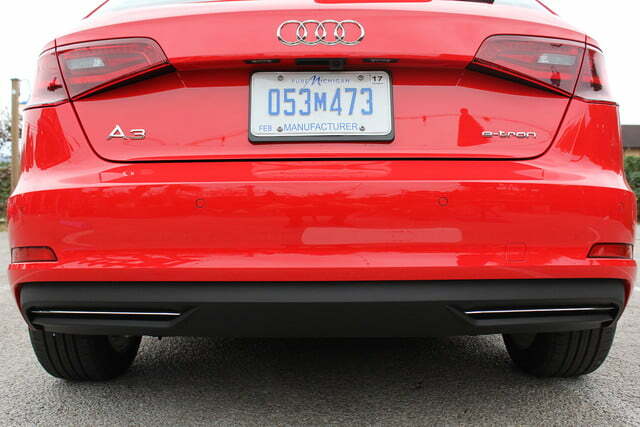 Audi made it clear that news of emissions-cheating devices by its parent company had shocked and angered the brand, so the question is: Can a focus on electrically-assisted platforms help clear the air? 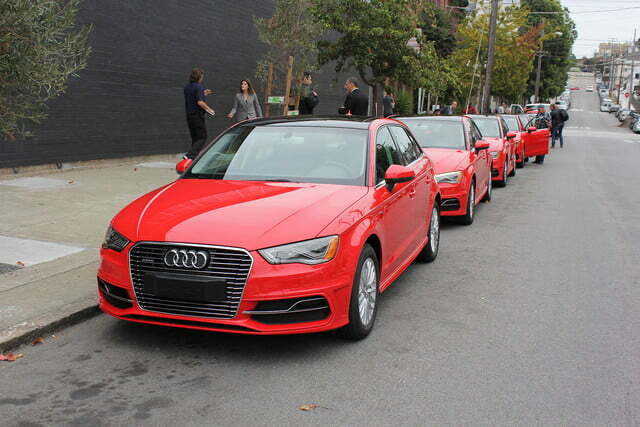 With 75 percent of A3 buyers upgrading from non-luxury models, Audi needs its plug-in hybrid version to deliver improved efficiency without pricing out its present buyer demographic. To accomplish this task, Audi mimics the European-only Golf GTE’s powertrain instead of engineering a totally new setup at far greater cost. 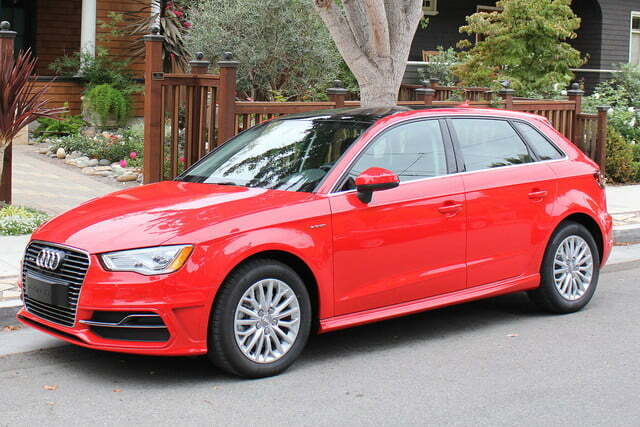 The A3 e-tron pairs a turbocharged 1.4-liter four-cylinder gas engine with a 75kW lithium-ion battery-powered electric motor for a combined 204 horsepower and 258 pound-feet of torque. 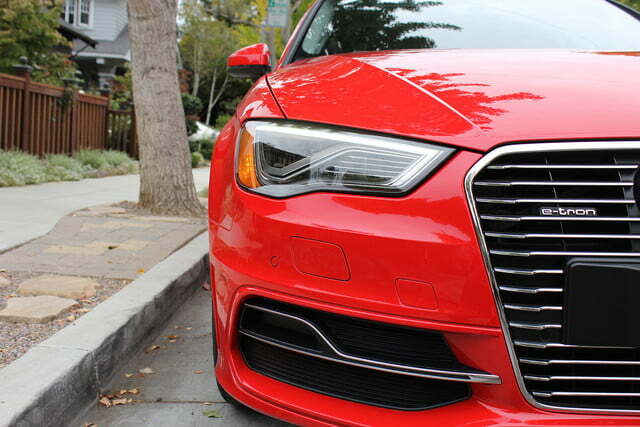 This matchup motivates the A3 e-tron to 60 mph in an efficient 7.6 seconds and on to a top speed of 130 mph. 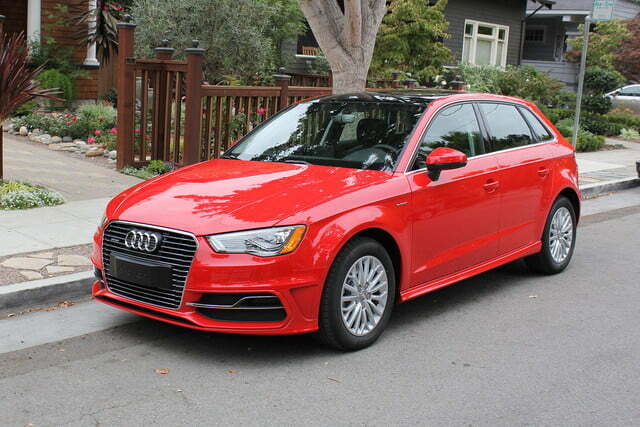 If you’re doing the math, then you’ve realized by now that the A3 e-tron is a quick little hatch indeed. Moreover, thanks to the petrol power, while you’re enjoying the A3 e-tron’s electrically-assisted performance, you needn’t fear being stranded by the side of the road. Thanks to your petrol-powered comrade, while you’re enjoying the A3 e-tron’s electrically-assisted performance, you needn’t fear being stranded. 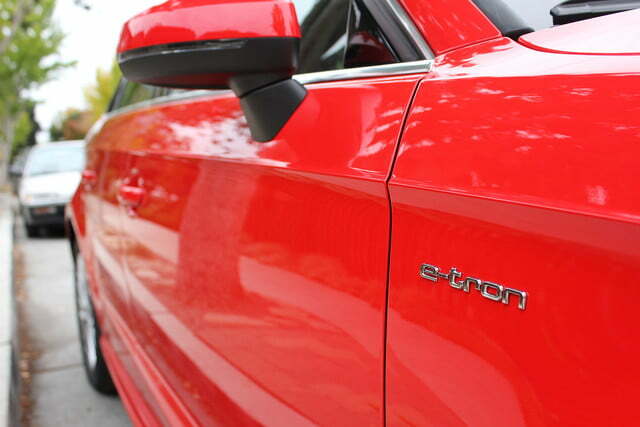 Audi claims the A3 e-tron will return a combined MPGe of between 83 and 84 and an electric-only range of 16 to 17 miles, which means the five-door model can genuinely be an all-purpose vehicle for many. 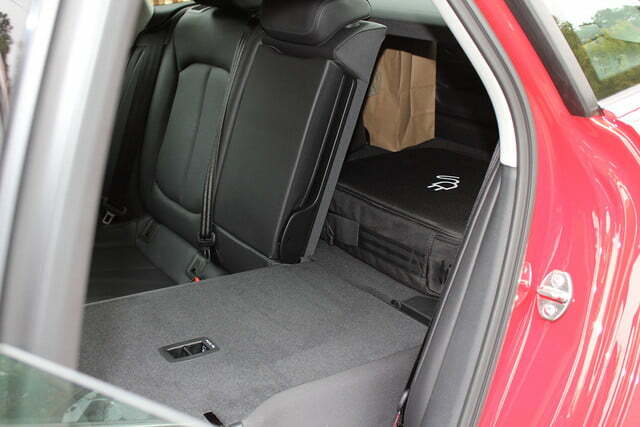 With the average commute in the U.S. hovering around 14 miles, the A3 e-tron’s electric range is enough to get you to work, charge up while you’re there (which takes 8 hours via a 120V outlet or 2 hours and 15 minutes via a 240V outlet), and get you back home. 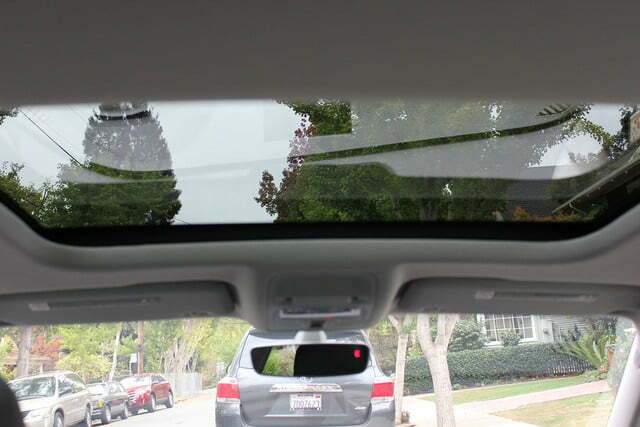 Should you want to embark on a road trip, you aren’t handicapped like you would be, for example, in the 83-mile-range Volkswagen e-Golf. 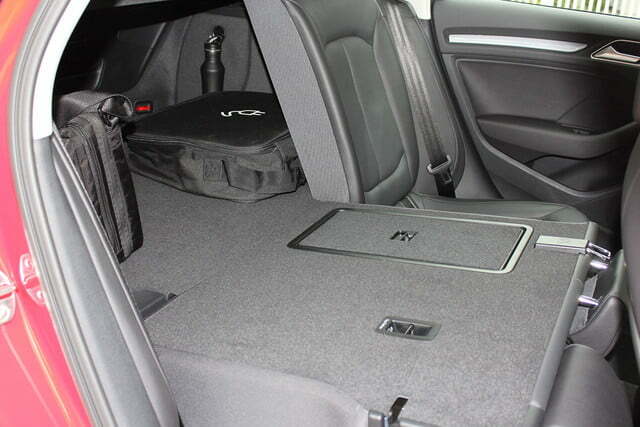 Speaking of road trips, if you and your peers can fit in a standard A3, then the e-tron version won’t disrupt your plans. 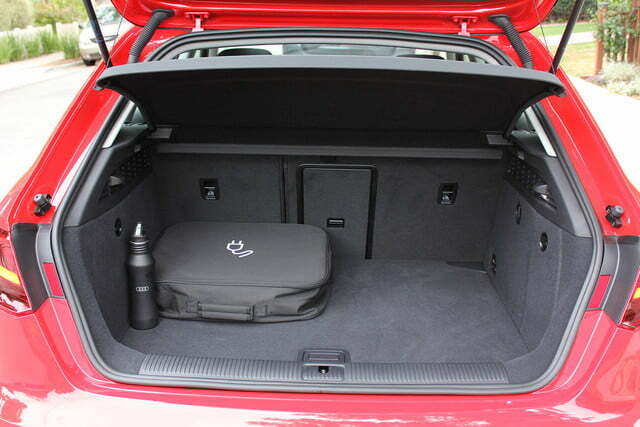 Audi has engineered the battery placement beneath the rear seat bench, so passenger and trunk space is relatively unhindered, and you can still fold those 60/40 rear seats. 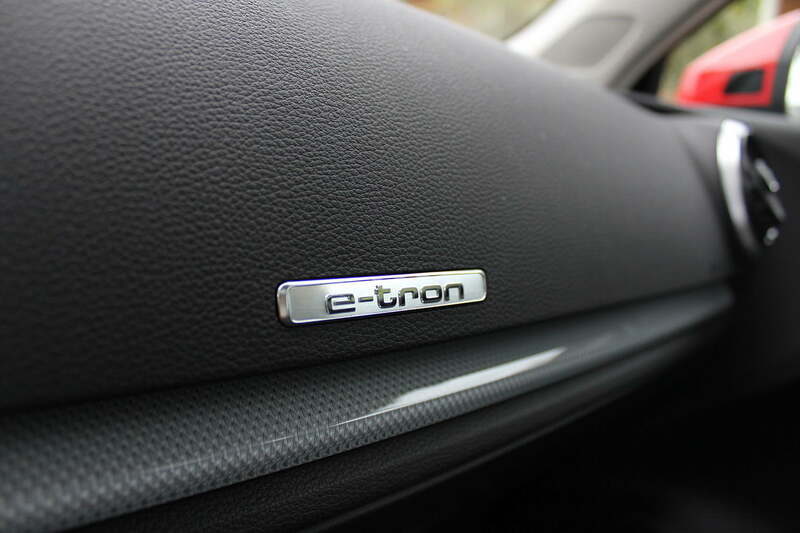 Of course, with an extra 400-ish pounds to lug around compared to the standard A3, the e-tron loses a bit of its characteristic fun-to-drive factor, but not much. 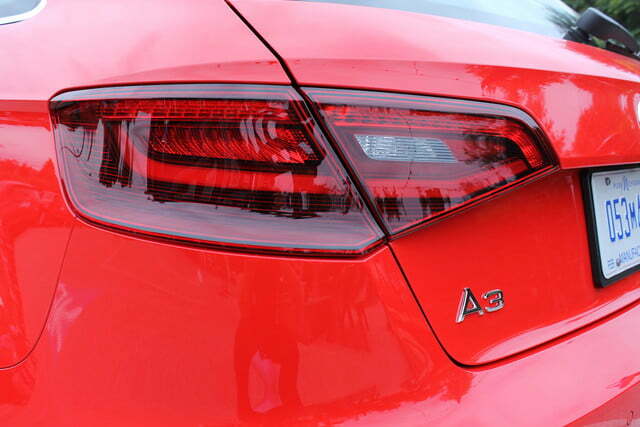 The A3 e-tron is more prone to understeer and body roll, but the steering response, brakes, and six-speed S-tronic dual-clutch transmission are standard-issue Audi-refined. 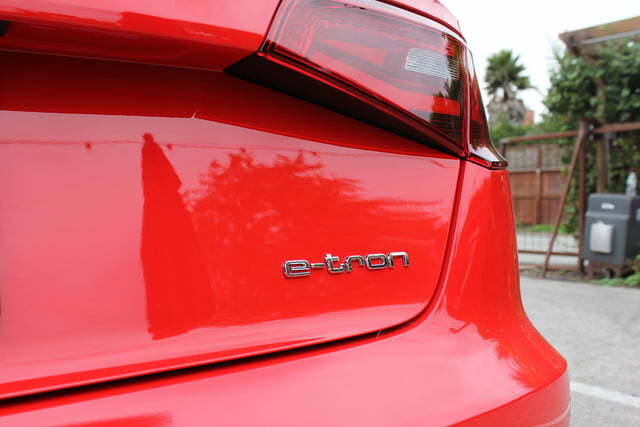 Though the e-tron only comes in front-wheel drive guise, its electric torque doesn’t overwhelm the front tires in the slightest. 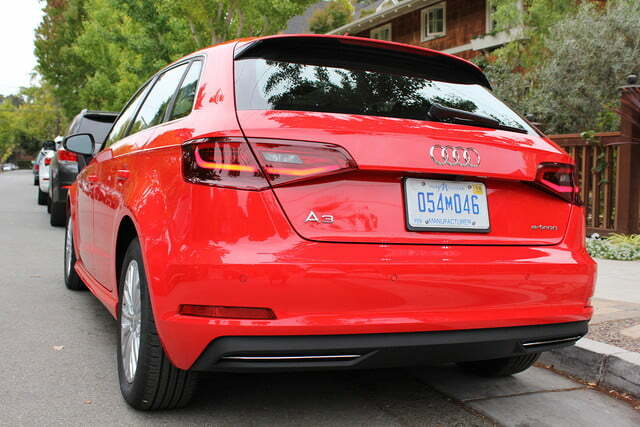 You’ll be able to distinguish an A3 e-tron from a standard A3 hatch thanks to a few design cues. 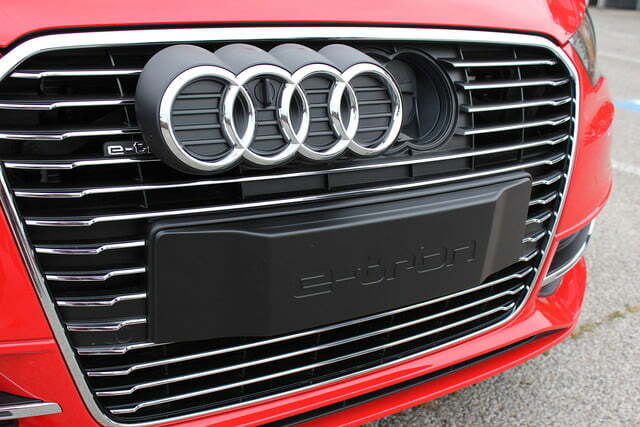 At the front, the e-tron wears a single-frame grille, S-line front bumpers with chrome intakes, and standard Xenon headlights. 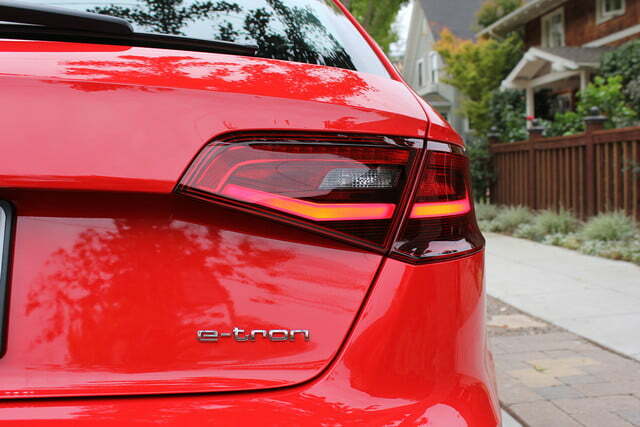 Moving rearwards, the plug-in hybrid A3 sports e-tron-specific wheel designs in 16, 17, or 18-inch sizes, S-line side sills, a rear diffuser, roof spoiler, and LED taillights. 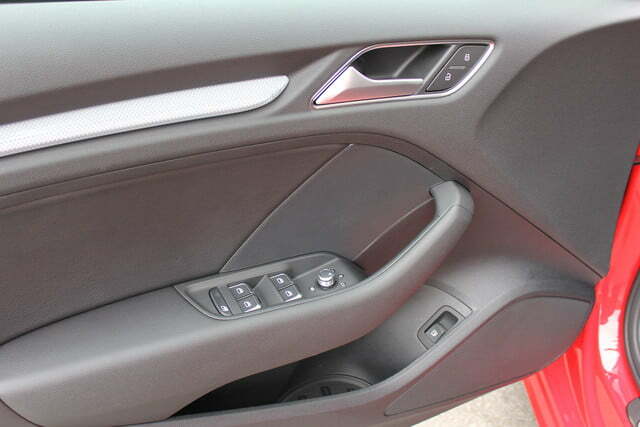 The look is notably upscale, with the chrome accents and clean lines giving the A3 e-tron new intrigue compared to the standard hatch. 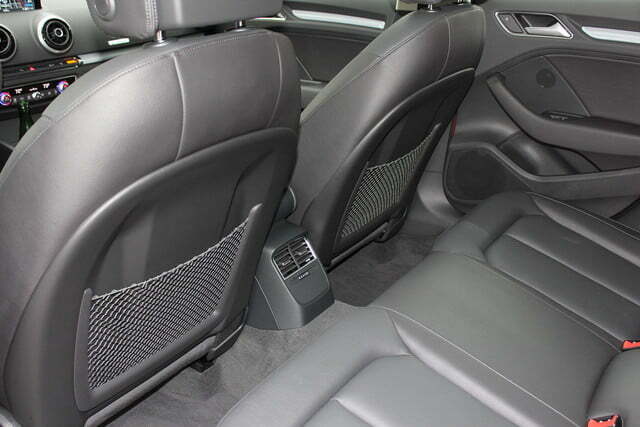 Inside, the A3 keeps things interesting with a high-tech infotainment system, pleasantly comfortable seats, and multi-texture surfaces. Audi has been a pioneer for Google-powered connected car services, and the A3 e-tron’s Audi Connect system offers a 4G LTE hotspot and apps like weather, news, Google search, navigation, voice search, Sirius XM traffic, and more. To access the vehicle’s features, you can either press the voice search button on the steering wheel and speak your desire or navigate through the options via the dial, buttons, and Audi’s scribble-deciphering touch pad. 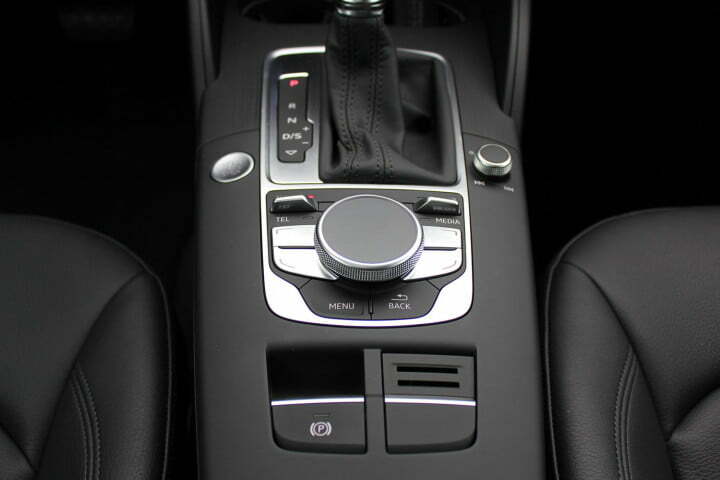 The Audi Connect system becomes a cinch to use after a few short minutes and the voice-recognition software rarely misinterprets your mumbled instructions. 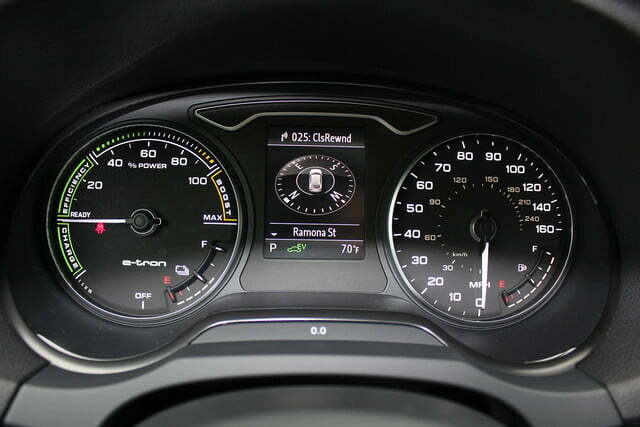 The A3 e-tron’s driver display gauges are distinguished from the normal A3’s by replacing the tachometer with a “power meter” that shows remaining battery juice and when you’re using electric, hybrid, or pure gasoline power. To swap between the four driving modes, there’s a drive mode toggle on the center stack for EV, which maximizes the electric driving range, Hybrid, which is the most efficient power delivery, Hold Battery, which preserves charge for later use, and Charge Battery, which uses the gas engine to restore the battery. 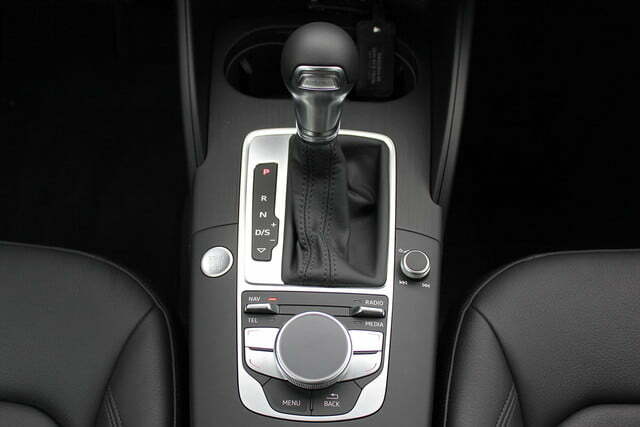 Beyond the drive modes, you can use the gear lever to engage sport mode, which maximizes energy recuperation. 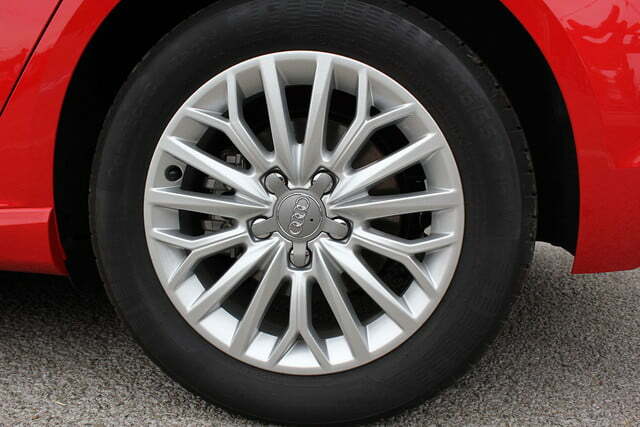 Leaving the system in “D” lets the car “glide,” disengaging the powertrain from the front wheels to reduce friction and therefore improve fuel efficiency. 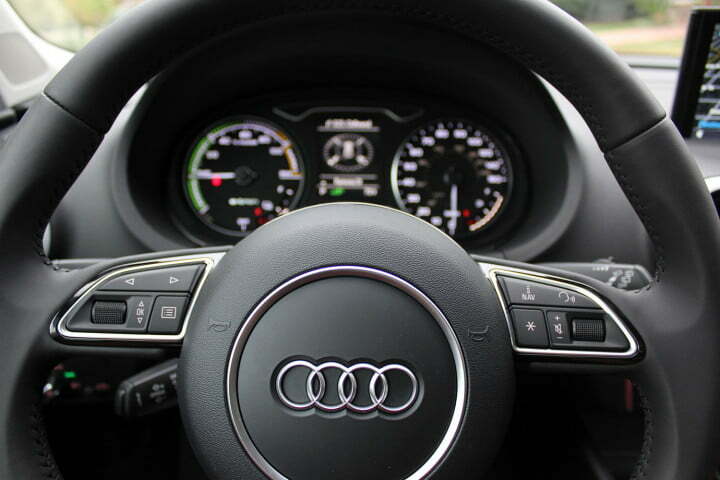 For further customization, you can find Audi Drive Select modes to optimize the ride for Comfort, Auto, or Dynamic settings, or any combination of the car’s steering, handling, or throttle response characteristics. I decided not to calculate all the available permutations, but doesn’t that sound like a fun homework assignment for your middle-schooler? Now that the A3 e-tron has made its case among a jam-packed hybrid marketplace, where does the entry-level luxury plug-in fit in? 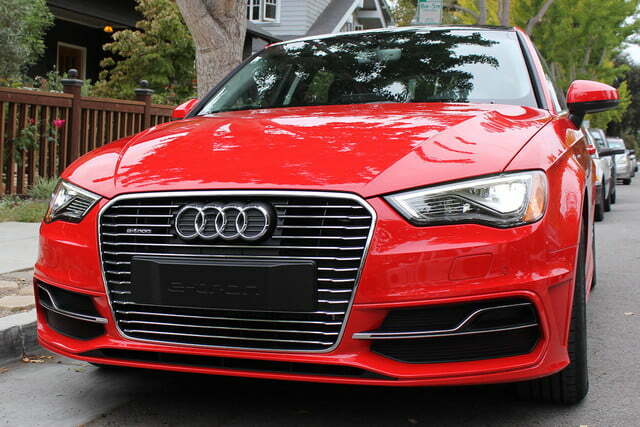 It’s difficult to put your finger on direct rivals for the Audi A3 e-tron. 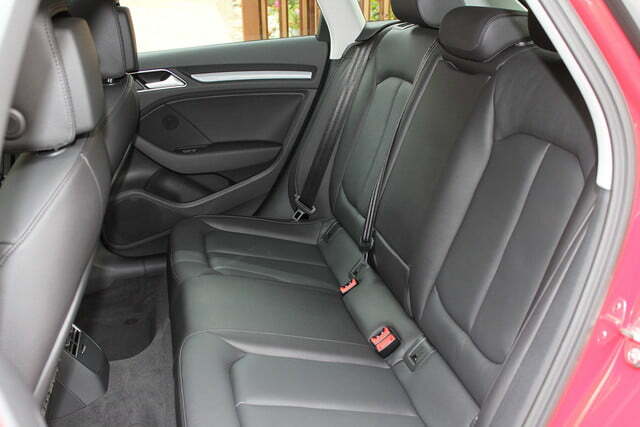 Surely BMW’s i3 range-extending hybrid is a challenger, though it’s really a sub-compact contender. There’s also Lexus’s CT200h, which is in the same segment, though it’s powered by a more traditional permanent hybrid drivetrain. Why not jam out to Daft Punk’s killer Tron Legacy soundtrack. Park your A3 e-tron for a few minutes and hop on this electric two-wheeled scooter. Step up your personal style game with a timeless look! 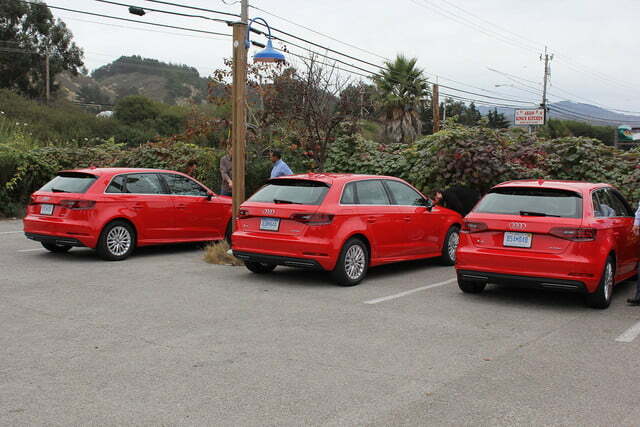 Perhaps the A3 e-tron’s closest competition comes from three vehicles produced by non-luxury automakers. 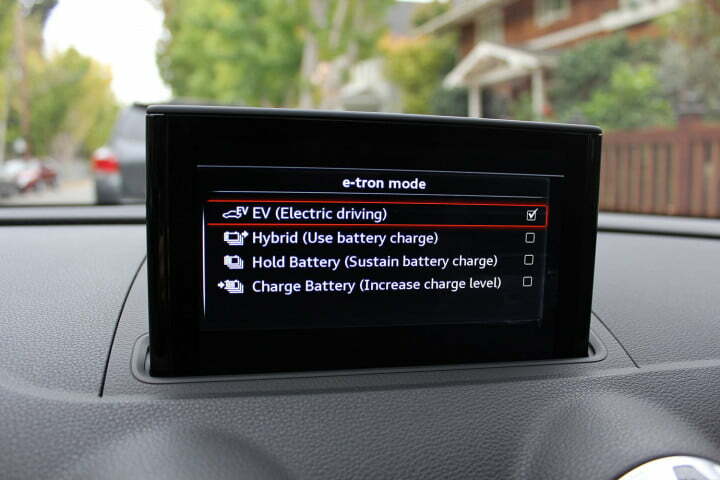 Ford’s C-Max Energi, Chevrolet’s Volt, and Toyota’s Prius plug-in hybrid all offer pure electric driving range with gas-powered generators and various driving modes depending on efficiency goals. 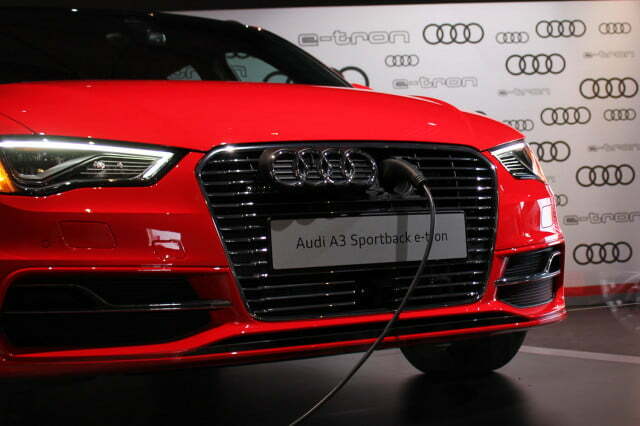 Its inability to fit an existing category makes the A3 e-tron a potential sales success. 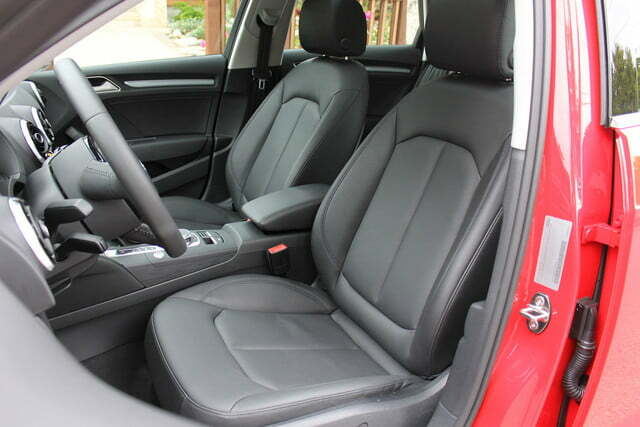 Priced at $38,825 (including destination, but before a $4,168 federal tax credit), the e-tron undercuts the BMW i3 by a solid $4,000, its advanced powertrain helps to validate its $6,000 price premium over the Lexus CT200h, and its handsome looks and German pedigree distinguish it from its non-luxury counterparts. Of course, as with all luxury marques, the moment you start checking boxes on the options list, things get out of hand. 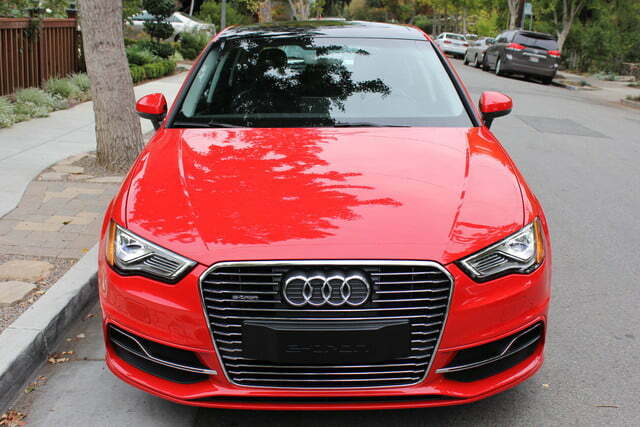 Assuming you can restrain yourself, the 2016 Audi A3 e-tron is a provocative plug-in with the refinement of a German-engineered five-door. 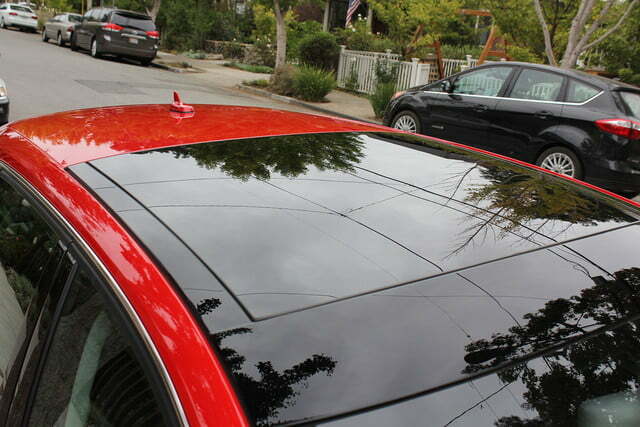 Not everyone is ready to forfeit the convenience of a traditional vehicle’s lifestyle in favor of zero emissions driving, be that via hydrogen fuel cell or battery-powered electric powertrains. Unless you’re in a position to pay more than double for a Tesla, we’re still a couple years away from an affordable EV with a range approaching that of a gasoline-powered car. 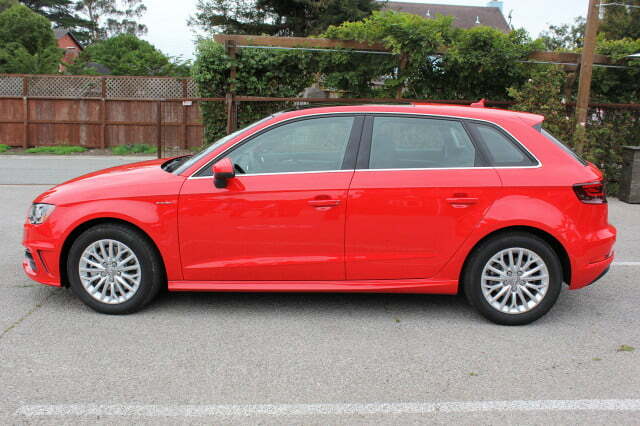 Until then, the Audi A3 e-tron isn’t just relevant, it’s enticing.